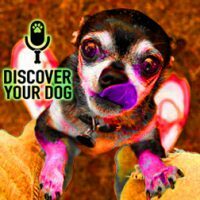 Ep 097 STOP Your Dog from Jumping-Up NOW! Believe it or not, nobody likes it when your dog jumps up. Except maybe YOU! Today, discover how to get your dog to stop jumping up through affirmative expectation. 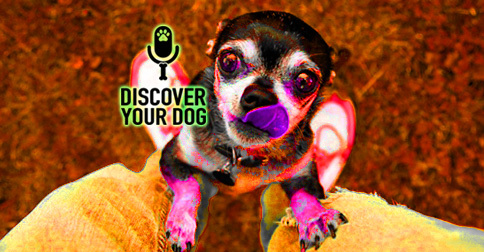 In this episode, you will learn a comprehensive method to get your dog to stop jumping up. There are many theories out there as to why dogs jump up. The main one that Bennie has heard is that a dog wants to be near your face so that it can smell your scent. Bennie isn’t 100% sold on this theory. From an owner’s standpoint, this would be a logical explanation and it sounds conceivable. Dogs jump up on all people, not just the owner. He has read that it comes from wild, where dogs meet by smelling and licking each others faces. Although this does happen, he does not see that as a general rule, especially in greetings. If you are aware of the reason your dog is jumping then how you work on the jumping up can be different. You have to understand what you want your dog to do in any given situation. Understanding why your dog may be jumping up allows you to assess the situation as it happens and react to your dog appropriately. The most common reason is the very active and friendly dog. Even though this is the most common reason dogs jump up, the other two reasons is why Bennie receives most of his calls. In the case of a friendly greeting, the dog just wants attention and because people are normally upright, it is the best way to get that attention. What happens when a dog jumps up on you or your friends? You give it all types of attention! You may push or pull you dog off. You may yell at your dog from across the room. You might even grab or spank your dog. All of these actions are attention for the behavior. They are mainly actions that involve two very important things from you: physical touch and eye contact. There is a habit that most people do and do not even realize they are doing it. You always want your dog to look at you before you give a command or instruction – right? Why wouldn’t you expect the same treatment from your dog when she wants attention? Coming home is a common time for a dog to want and need your attention. A knock on the door or the doorbell. When kids get excited with each other or are running around. The other two reasons: Dominant & Protective go hand-in-hand. When dogs are jumping out of Protection, Guarding Territory, and Dominance it is a way to stop you from going any further. If you go into a friend’s home and their dog jumps up on you, you may want to do a quick look to see the dog’s demeanor. If the tail is stiff, not moving excitedly, and that jump seemed more to stop you than to get your attention, do not reach down and touch that dog! Bennie training style and lessons always teach that any attention is praise when your dog is making a choice or has a big reaction to something. In every case here, no matter if that attention was good or bad, your dog gets attention for the behavior and in most cases, the biggest attention ever: touch! Ep 066 has a very similar practice on Counter Surfing. The big difference this week and a much more difficult practice is that people will be involved and people are unpredictable. In order to get your dog to learn to stay on all four legs when greeting you or your friends, you must have very good trust with your dog first. By practicing this on a daily basis, you will not only be teaching your dog to learn a great lesson, you will be building awareness for what you want from your dog to do. Either jump up or stay on all fours. Be sure that when you give your dog this opportunity, you have already put her leash on. This gives you the opportunity to correct without touching her. A big mistake Bennie sees is that when someone gives a correction, they have a tendency to pull the dog toward themselves instead of away from them-self. In this practice, you will be pulling your dog off of you either to the left or right. When you pull the leash say, “NO”. Then stand still, let the leash loose, (don’t let it go) and give your dog the opportunity to make those two choices again. If your dog jumps up two more times and you give the correction then you have to separate yourself and your dog. This is not a punishment, this is taking a break. The purpose of a correction is not to hurt your dog or create fear. Sometimes that is what happens and you have to allow your dog the time to process any correction you give. The purpose is so that your dog understands that attention will not be given to that behavior. When you give a proper correction, your dog should land on the floor facing away from you. Give her time to respond to that correction. Allow her to understand it for what it was -stop doing what she was doing and pay attention. This, again, is what NO means! When you start this process on yourself or anyone else, it is inevitable that your dog will approach someone staying on all four legs and you will say and do nothing. Because you are looking for you dog to jump up and waiting to correct rather than looking for your dog to do what she is doing, staying on all fours and praising for that behavior. This is why you have to say it in the affirmative! Bennie makes his clients say…”I want you to choose to stay on all four legs when greeting me or my friends,” before they ever really get what they are looking for with their dog. These all help deter your dog and will show her that she will not get attention from you when she is jumping.